Country music stars, many with Oklahoma roots, showed their support for the victims of the May 20 tornado in that state at the "Healing in the Heartland" benefit concert Wednesday night. 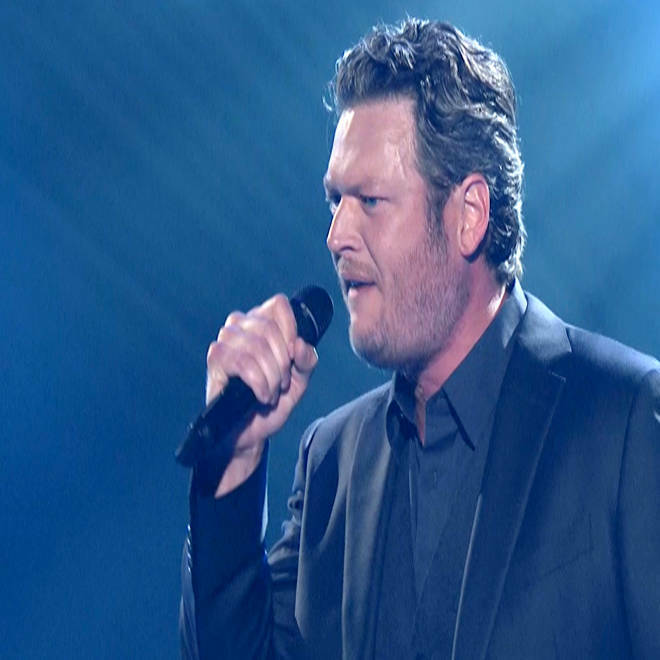 Grammy Award-winning singer Blake Shelton, an Oklahoma native and resident who helped organize the event, kicked off the concert with a gentle performance of "God Gave Me You." "He gave me people like you all," Shelton called to a responsive audience. After the massive storm ripped through the Moore, Okla., area on May 20, killing 24 people and leaving thousands of homes damaged, Shelton decided to use his voice — and his Rolodex of A-list music stars — to help raise money for relief and recovery efforts. "I'm here tonight with some of my closest friends from Oklahoma and beyond," Shelton said. "To join in and help with the rebuilding and recovery of this land that means so much to me." The one-hour concert was aired live on NBC from Chesapeake Energy Arena in Oklahoma City. All proceeds benefit the United Way of Central Oklahoma's tornado relief fund. Shelton was followed onstage by Darius Rucker, singing "True Believers," the title track off his new album. Carrie Underwood, who grew up less than two hours away from the heart of the tornado devestation, appeared via a pre-taped message encouraging her fans to donate to the relief efforts. "Late Night" host Jimmy Fallon also appeared in a taped segment praising Oklahoma residents for coming together to help one another through the tragedy. Rascal Flatts guitarist Joe Don Rooney is another Oklahoma native, and the band performed their 2011 hit, "I Won't Let Go." Shelton's wife, Miranda Lambert, then delivered an emotional performance of "The House That Built Me," while images of animals displaced by the storm flashed on the screen behind her. At one point, Lambert became too choked up to continue and had to pause, composing herself and wiping tears from her eyes before she could finish the song. Tulsa native Ryan Tedder of OneRepublic got the arena rocking with his performance of the band's single "Counting Stars." Garth Brooks and Trisha Yearwood appeared in a taped message, encouraging viewers to call (800) 890-4999 or to text REBUILD to 52000 to make a donation. "As Oklahomans, we're asking," Brooks pleaded. Their message was immediately followed by news footage of the tornado damage and the story of Alyson Costilla, whose mother died in the storm. Costilla and her family were introduced by Shelton. "I just want to say thank you to you," Costilla said to Shelton. "Because mom was a really big fan of you, and I just want to say when bad things happen, good people step up to help, and I want to thank everyone who stepped up -- who is stepping up -- to rebuild the place we call home." Country legend Reba McEntire recognized the storm's first responders with a performance of "Everyday People," a song with lyrics that commend those that step up to help when times get hard. Vince Gill, who hails from Norman, Okla., dedicated his performance of "Threaten Me with Heaven" to the "24 people who didn't make it." Gill's voice cracked on multiple occasions during the heartfelt performance, which he ended by proclaiming, "It's good to be home." Luke Bryan picked up the arena's spirits with his performance of "Crash My Party," telling the throngs of screaming female fans, "You're lookin' so pretty, Oklahoma City!" The Leesburg, Ga., native also called out, "Thanks for making a Georgia boy feel welcome!" Shelton closed the show by singing his hit "Home." He was joined on stage by Usher, one of his fellow judges on "The Voice," asking the audience, "Man, is there anyone in the world cooler than Usher?" Afterward, Shelton thanked his friends for helping with the concert and told the people of Oklahoma, "You're in our hearts." In addition to organizing the concert, Shelton has put together the Healing in the Heartland Auction, in which fans can bid on such items as VIP concert tickets, memorabilia packages, and even tickets to next year’s Academy of Country Music Awards show and after-party. At press time, the auction items had already collected thousands of dollars in bids.